Daily Debate: Which Character Has the Most Development? Daily Debate: Which One-off Character Should Be Brought Back in A Future Entry? The colorful cast of faces familiar to Hyrule has grown over the years, but only a select few have been lucky enough to return for an encore after their initial appearances. 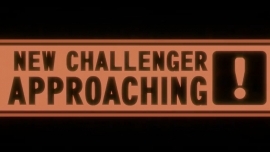 Admittedly, this does well to add to the variety in our adventures that so commonly revolve around the same three Triforce representatives, but it often seems tragic to lose some our favorites just for the sake of changing things up over time. And with sequels and remakes becoming more common, perhaps this is something will soon see change. Since the release of the first Nintendo Direct of the year, full details have been announced about the version 1.5.0 upgrade to Hyrule Warriors as well as the Majora’s Mask Pack. Hit the jump to take a look at the new content. 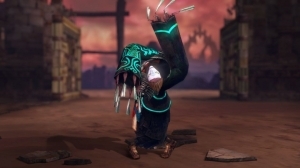 Gossip Stone: What Other Characters Should Be in Hyrule Warriors? We are now going to have more playable characters in Hyrule Warriors‘ Master Quest DLC, but they are still only the villains that are already in the game. That being said, there are three other DLC coming later that will give us some brand new characters! What characters might you want them to be? Join the discussion after the jump! Daily Debate: Which Link is the Best? 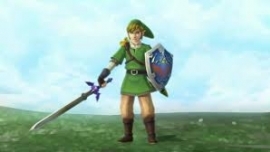 The evolution of Link’s character design is always something that is worth bringing up for discussion purpose because of the quick transition from simple to complex design in a matter of years. The largest transition that was seen was obviously the design of A Link to the Past to Ocarina of Time due to the switch from 2D to 3D visuals. Many people love the iconic design of Link from Ocarina of Time, and for good reason; his visual design is very aesthetically pleasing but shows what a hero looks like too….